A simple tweet from Google is all it takes to set the pulses of some search engine optimisers racing. This week @Google tweeted the message “New data refresh of Panda starts rolling out tonight. ~1% of search results change enough to notice. More context goo.gl/huekf“. 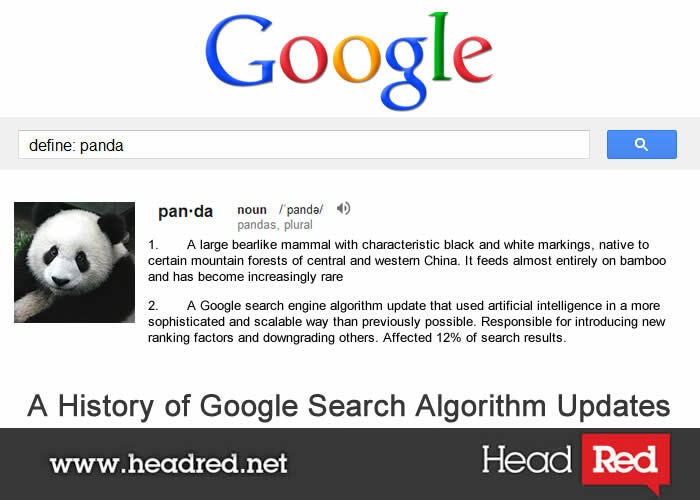 If you’re wondering what the reference to a Panda has to do with Google and search rankings, then join us as we take a look through the various updates to the Google algorithms throughout the years. The Start of the ‘Google Dance’ The beginning of the 2000’s saw the beginning of major changes to the Google search algorithms that introduced indexing changes as sites started to drop in rankings and the so called ‘Google Dance’ began as websites would dosey doe around the search engine results pages due to being penalised for falling foul to Google’s newest updates. 2003 saw many updates throughout the year with ‘Cassandra’ cracking down on links between similar domains and hidden onsite text and links. ‘Dominic’, ‘Esmerelda’ and ‘Fritz’ were all part of the ‘Google Dance’ but it was November of the same year that the major updates began. Touring America: The Florida & Austin updates November 2003 saw the Florida update which was the first major one that caused panic across the Internet as Google had drastically changed the way in which SEO-ers operated. Before this update, tactics which are now firmly considered ‘black hat’ were the norm at getting sites ranking well. This update saw the beginning of the end of tactics such as keyword stuffing and cloaking and a division in the SEO industry was created as the black hatters would still try to employ methods to get round the Google update and the guys in white hats would follow the guidelines and set out getting to the top whilst not falling foul of the algorithm updates. The Austin update at the beginning of 2003 continued the work of Florida and clamped down on further black hat methods including poor on page tactics such as invisible text and keyword stuffing in page meta tags, as well as link farming sites. Having a Stiff Drink: The Brandy Update The aim of Brandy wasn’t to target the tactics of the SEO industry but rather improve the way Google ranks things. They improved and expanded their index size and introduced ways for the search algorithm to understand synonyms with ‘Latent Semantic Indexing’ (LSI). This allows search engine result pages (SERPs) to return results related to the topic you are searching for. The importance of the anchor text in links increased as did the quality and quantity of links coming in and going out of your site. Where these links were coming from also become very important and the ‘neighbourhood’ of links coming to your site needed to be relevant. Simple SEO tactics of utilising the title, heading, bold and italics to emphasis keywords were also reduced in importance, although they are all still to this day very easy ways to inform both the search engine and your site visitors what your website is about. 2005: Allegra, Bourbon and Jagger Throughout 2005 there were a number of further updates which affected the algorithms in minor different ways, although the exact nature of the changes are unknown. The Allegra update is suspected of looking at suspicious links between sites, Google offered another drink with the Bourbon update that began to look at duplicate content and the focus of the Jagger update was poor quality links. This update looked at reciprocal links, linking farms and paid links. The Jagger update was rolled out over a couple of months and altered the way links were used with regards to the SERPs. Google was changing things; no longer were link directories a good idea but it wasn’t until 2009 that the next big updates came. Having a Coffee with Vinnie: The Vince and Caffeine Updates The Vince update in February 2009 was one that seemed to strongly favour big brands in the search results. Whilst it was referred to as a “minor change” by the head of Google’s Webspam team, Matt Cutts, the SEO blogosphere were reporting that bigger brand were getting special treatment. Matt discussed the worries of the SEO community though and said that factors such as authority, trust and quality were among the factors behind bigger brands being higher in the SERPS. August 2009 saw a preview of the latest update given. The Caffeine update (which wasn’t rolled out fully until June 2010) was a massive change to the infrastructure of Google and increased the speed at which pages were crawled to near real-time and the index was once again expanded. Google said that Caffeine “provides 50 percent fresher results for web searches” and since the web is becoming more and more of a social place, Google updated its search engine to “update [the] search index on a continuous basis, globally”. Caffeine was a huge change to the way Google provided search results and was a major step in providing the newest content on the web, quicker. Kung Fu Panda Hits Hard: The Panda Update And so we arrive at the biggest update to the search engines, the ramifications of which are still being felt today as this algorithm change is constantly being updated. Monday 14th February 2011 saw a Valentine’s Day present from Google to the SEO world with the introduction of the Panda update. The update affected up to 12% of search results (official Google figure) and cracked down on poor content on content farm sites and pages with more ads than content. Panda continued to be updated throughout the year with the overall main purpose of all the iterations being to provide searchers with high quality sites when they use Google. One major difference to previous updates is that with Panda, whole sites can be penalised instead of just pages. This update seemed to encourage SEO folks to think more about the user experience of a website instead of focussing on pleasing Google. To assist with this major update, Google released some guidance on building high quality sites aimed to help people understand how the search engines assessed a ‘quality’ site. All Aboard the Gondola: The Venice Update The Venice update was implemented in February 2012 and saw local search results integrated more tightly into the SERPs. The aim was to provide users with results more relevant to their location. The results could be tailored to what country or city your location is set to and the SERPs would be tailored accordingly. 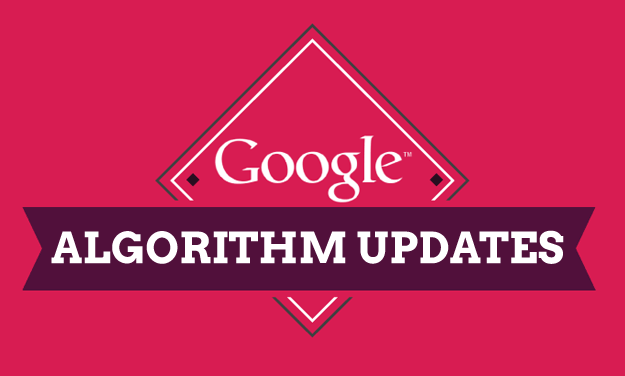 This update saw Google really focus on local search and made a localised plan for SEO very important. What the Panda started, the Penguin continued: The Penguin Update Whilst the Panda continued to see updates throughout 2011 and into 2012, April saw Google unleash another animal from the zoo to help make the web a more search friendly place with the Penguin update. This update is also referred to as the “Webspam update” and is estimated to have affected 3.1% of English search queries. The focus of Penguin was to look at over-optimisation and continue ridding the SERPs of sites that provide poor quality content. Sites that provide little of use to visitors or links to non related sites were affected and Google aimed to give creators of rich, high quality content the search rankings they deserve. Continuing Advantages of Panda & Penguin: Further Panda & Penguin Updates There have been further updates to both the Panda and Penguin throughout the last few months continuing to improve on the Google algorithm. Any sites with unnatural link profiles may have seen their rankings drop as the algorithms improve further on ridding sites with poor content and links from irrelevant sites from the SERPs. I’m sure this won’t be the end of the Google algorithm updates and both Panda and Penguin will be continually updated throughout this year and most likely into next with varying degrees of impact. I wonder how long it will be until the next major algorithm update is unleashed though. I’m going for the Crocodile Update. You heard it here first folks.